I often get funny looks from people when I mention the topic of push presents. I believe it has originated in America but like all good things from the good old US (hello Starbucks, McDonalds, numerous TV programmes etc) it is slowly finding it's way over here. A push present is basically a gift your partner buys you for carrying and giving birth to your child. It's a thank you for all the hardship you've had to deal with in the process. I know some people find push presents tacky but I'm all up for being thanked. I mean, my goodness, if there's anything I've done in life that I deserve to be thanked for it is definitely childbirth!!! There is also the argument of 'well your baby should be enough of a gift in itself'. I am in no way arguing that the gift of a child isn't the greatest gift you can ever receive but it most certainly did not come wrapped up in nice paper with a lovely bow attached! Your baby took 9 months to create and a whole lot of hard work to bring into the world. The way I see push presents is just a little token from your partner to acknowledge how hard you worked to bring your beautiful baby into the world. 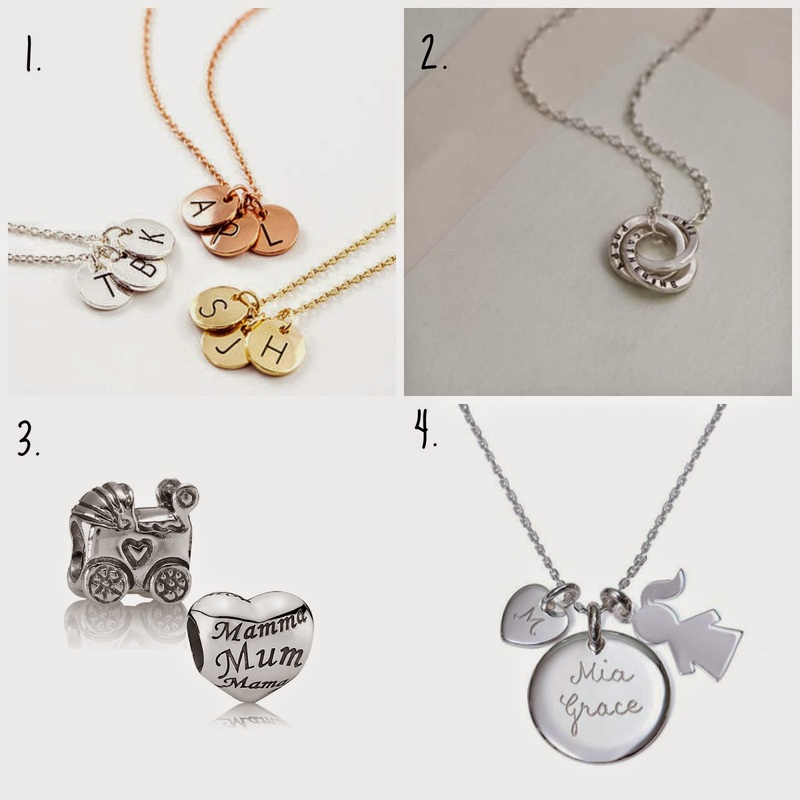 Numbers 1 and 2 come from Not On The High Street which features a huge array of unique jewellery that can be personalised. 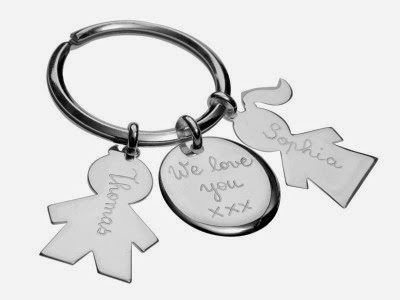 Number 3 is from Pandora and who doesn't love a Pandora charm! Their new bangles are lovely too. I'm heavily hinting for number 4 from Merci Maman. If it's good enough for Kate Middleon, aka The Duchess of Cambridge, then it's good enough for me! I know a similar tradition to the push present that is actually done here in the UK is that the woman receives an eternity ring on the birth of a couple's first child. It was actually our minister who married us that told us! I was quite keen to get a cross over 3 band ring instead but have been unable to find a nice, not too expensive one. How do you feel about push presents? I hadn't thought about presents, maybe just a nice bunch of flowers from my hubby would have been nice. I hadn't ever come across them before. I think by the time our little one arrived we were both shattered. I'd been having contractions on and off for five days and was so desperate for a good sleep.